Jean Baudrillard was a post-structuralist and post-modernist philosopher, sociologist, cultural theorist, photographer and political commentator. He was born on July 27, 1929 in the northern town of Reims. He was the first one to attend university in his family who went ahead to become a world-famous intellectual and a sociology professor. Heavily influenced by Marcel Mauss and Georges Bataille, Baudrillard was a thinker who reversed the thoughts of others to give an original analysis. Other influences on Baudrillard included the Surrealists, the Situationists, and authors such as Friedrich Nietzsche, Fyodor Dostoyevsky and Jean-Paul Sartre. Psychoanalysis and Sigmund Freud also had a key impact on Baudrillard’s philosophy. The strongest influence on him remains that of Marxism. His thought developed through three crucial stages, starting from post-Marxism, passing through socio-linguistic and reaching to a techno-prophetic shift. Jean Baudrillard’s philosophy stands on the concepts of simulation and hyper-reality, which refers to the unrealistic nature of the modern culture. In today’s world of mass communication and consumption, all of our feelings and emotions are simulated through unnatural means. We remain unaware of reality as we do not experience it first-hand, but rather view it through someone else’s lens and point of view. For Baudrillard, reality in today’s world is not what can be reproduced, but something which has already been reproduced. This is what he called ‘hyper-real’, anything which is fully simulated. In his two post-Marxist books, The System of Objects (1968) and Consumer Society (1970), Baudrillard assesses the psychology behind mass consumption in the capitalist world of today. In the first publication, he says that consumers are lured into buying things by making things meaningful, and not useful. Senseless meanings and a metaphysical order is being attached to things which compels an individual to make a purchase to fit in in the crowd. The second book concurs that an individual becomes a consumer under the illusion that he is merely fulfilling his so-called needs which in actuality helps in running the productive system. In his book In the Shadow of the Silent Majorities (1983), Baudrillard debates that the modern era has entered into a phase of disintegration and collapse. He says that the old class structure has vanished entirely, leaving behind a nothingness, an empty space between the masses; their translucent reality. The masses no longer have a distinct status of their own. The plethora of surveys and statistical exercises have rendered the masses incapable of being responsive to meaningful political representation. All religious, philosophical and political ideologies have been readily absorbed and neutralized by them. He further says that the law has generalized everything to such an extent that no specificity has been retained. The law imposed upon the masses is a collection of confusions, assigning sexual, political and religious labels to anything and everything. In his famous travelogue America, Baudrillard gives a new method of learning about the culture of any place. He emphasizes on the unreality and shallowness of the American culture. This he concluded by speed travelling through the Sates. By this method, he aimed at not getting bogged down by the American society’s ‘depth’. He compares America to a desert, where the cultural void is so great that the real and unreal mingle into a single indistinguishable perplexity. He does not aim at morally judging the American society, but rather studies it on a cultural level. 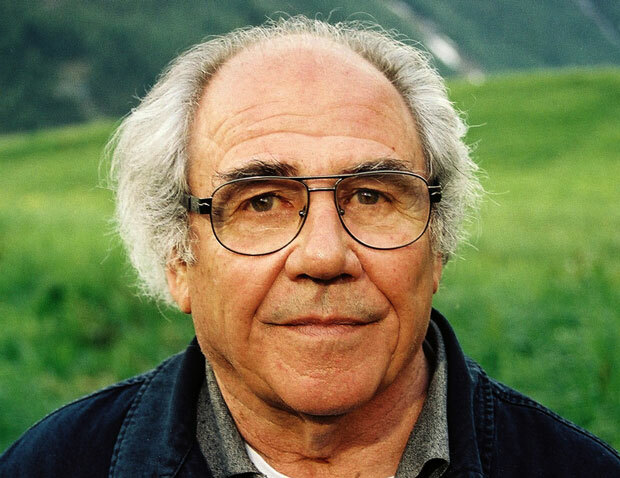 Jean Baudrillard passed away on March 6, 2007 in Paris, France. His assertions in sociology and philosophy continue to influence intellectual, the masses and the contemporary culture.